I absolutely love their happy hour! Their HH breakfast that is Mon-Fri from 8am-11am offers most of their breakfast items at $9 (unless other wise noted). 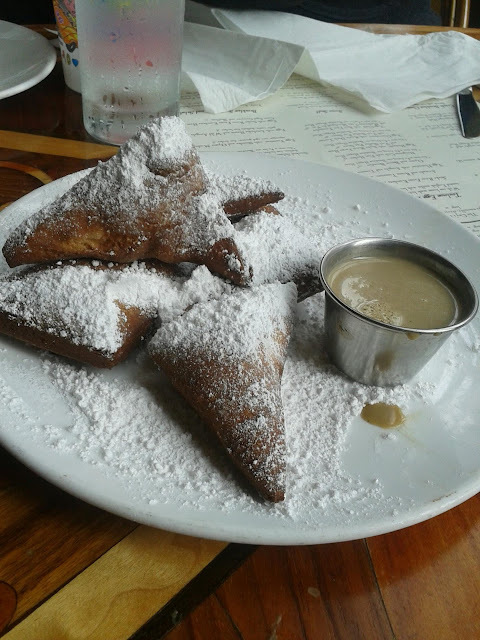 Almost everytime I go here, I always have to order their beignets. They are absolutely perfect in texture being fluffy and come with this nice, sweet, coffee flavored dipping sauce. 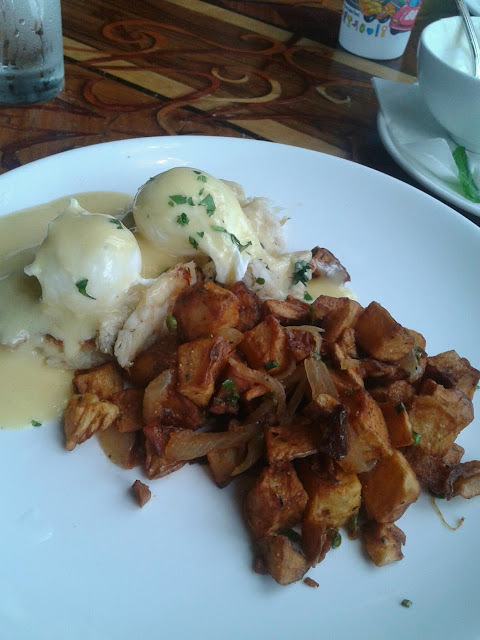 I decided to try something new rather than my usual creole dish and ordered the Dungeness Crab with Fine Herbs Eggs Benedict with breakfast potatoes. The eggs were poached to perfection! They yolk was nice and oozing, just the way I like it and was not overcooked at all. 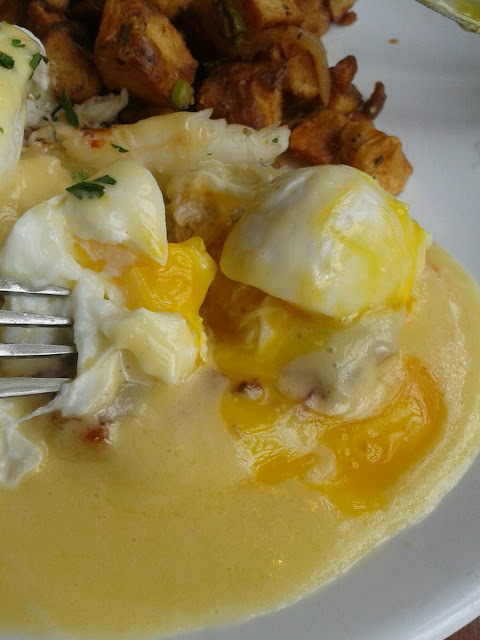 As it mixed with their hollandaise sauce as it soaked into the english muffin, it was just amazing,. 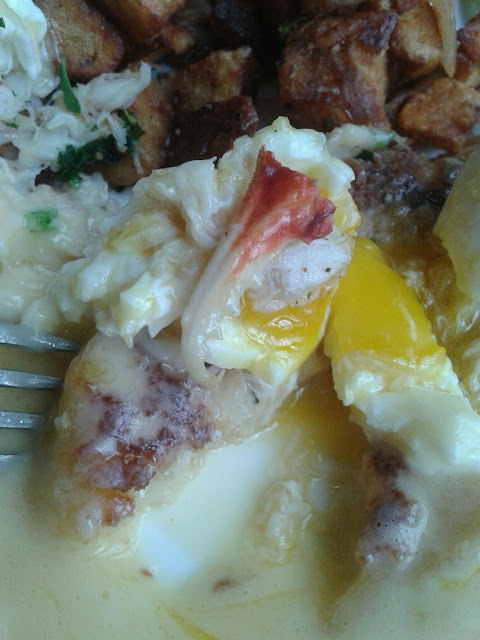 They were really generous with the dungeness crab as well. I got hearty chunks of it, not little shredded bits. The potatoes were also very tasty and not what I expected. Potatoes cooked in this style are usually drier to me and bland, meaning I usually need to add a lot of ketchup. I found these potatoes flavored with the right amount of spices and salt which made using ketchup almost not necessary. 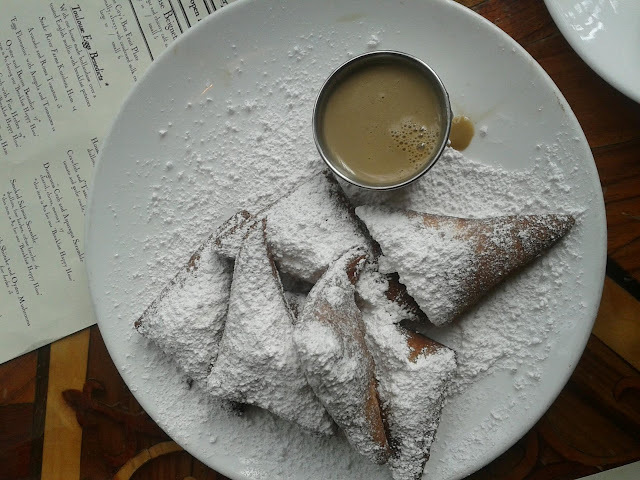 It was one of the better breakfasts I had in a long while and can't wait till I am able to go back again! If you're every visiting the Seattle area during summer, or any time for that matter, I HIGHLY suggest you go there. They take reservations too I believe but probably not for their Happy Hours.